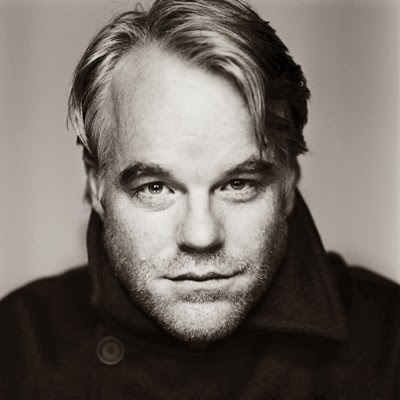 Like so many others, the news of Philip Seymour Hoffman's death yesterday at the age of 46 shocked both myself and Joe. As two people who first got into film in a serious way in the mid-'90s and early '00s, we had great admiration and respect for the work of Mr. Hoffman, and wanted to pay our own small tribute to a man who could legitimately be described as one of the best actors of his generation. In addition, I'd like to offer a few words of my own on one of my favourite performers. The films he appeared in were not guaranteed to be good - though he had an exceptionally high batting average on that front - but you could safely bet that whatever percentage of time Philip Seymour Hoffman spent on screen would be more than worth your time. Whether he was a lead or co-lead in films like Synecdoche, New York, The Savages, Capote and The Master, or in his many supporting roles in likes of The Big Lebowski, Moneyball, The Talented Mr. Ripley, Happiness, or any of his collaborations with Paul Thomas Anderson, he always brought humanity to everything he did, even when playing characters who were callous, vile or disturbing figures. He so thoroughly embodied the essence of each character he played that it's entirely possible to forget how many films he was in. Not because the performances were unmemorable, but because you forgot that you were watching an actor, and instead felt that you were watching an actual person. I certainly found myself saying "Oh, yes, he was in that" multiple times when looking over his filmography, and it's a real testament to his ability to disappear into his roles that so many of them, however small, seem like they were played by someone else. He could shake off that big, bear-like demeanour and make you believe in the fantasy of performance better than almost anyone else. The commitment he showed to every role he played gave him a genuinely chameleonic quality: he played both the creepy, lovelorn Scotty J. in Boogie Nights and the wryly suspicious and quietly menacing Freddie Miles in The Talented Mr. Ripley, but his attitude in both is so radically different that it's hard to believe it's the same man. He seemed to have no vanity or ego, and would find the heart of even the creepiest character, making them achingly human at even their darkest moments. He also seemed to have tremendous integrity, choosing to keep doing the small, interesting work he excelled in even after winning an Oscar for Capote and playing the best villain in the Mission: Impossible series, both of which could easily have allowed him to coast for years. Instead, he kept doing great work, which is the mark of a true craftsman. Philip Seymour Hoffman was a rare talent; a soulful, insightful actor who took everything he did seriously, but was never leaden or dour. His performances felt alive and lived-in, and it's dreadful to realise that he won't be making bad films watchable, good films great, and great films classics for many more years.